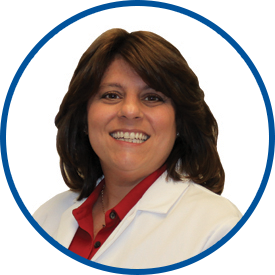 Dr. Odierna is board certified in internal medicine and geriatric medicine. She graduated from Manhattan College with a bachelor of science degree in biology and was awarded her medical degree from the State University of New York Health Science Center at Brooklyn. After completing her internship and residency training at Montefiore Medical Center, Dr. Odierna went on to complete a geriatric medicine fellowship at the same institution. She served as the medical director of the geriatric ambulatory practice at Montefiore Medical Center and was also an assistant professor of medicine at Albert Einstein College of Medicine. She has extensive experience in the teaching and training activities of geriatric fellows and internal medicine residents. Dr. Odierna joined Westmed Medical Group in October 2011. She is affiliated with White Plains Hospital and Greenwich Hospital. Actually, my sister asked that I tell her about my visit with Dr. Odierna as she is looking for a new person to take care of her health care needs. I plan to tell her about Dr. Odierna and will strongly recommend she make an appointment to see her. Dr. Odierna is patient and caring. Dr. O is excellent. This is only my 3rd visit to her and I enjoy good health, but she's always very warm, caring, and I feel like we have excellent exchanges about whatever my issue is.